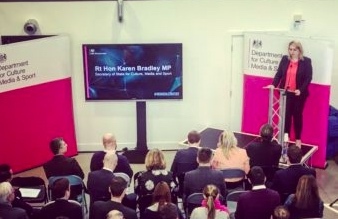 On 1 March, the Secretary of State for Culture, Media and Sport launched the UK Digital Strategy at the start-up accelerator Entrepreneur First. The Strategy received widespread coverage, with #UKDigitalStrategy trending briefly at #1 on Twitter, creating 41 million potential impressions (although we have to admit it generally trailed behind St David’s Day - but it was a secure #2 for the most part!). What does the Digital Strategy cover? How do libraries come in to this? 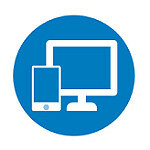 Libraries feature prominently in the Digital Strategy because we appreciate how much people look to them to provide digital access and valued support in building and improving digital skills and literacy. That’s why, by working with the Arts Council, government funded the provision of free Wi-Fi to all libraries across England in 2015/16. We now want to go one step further in supporting these important pillars of the community. The main mention of libraries is in Chapter 2, on digital skills and inclusion. It covers the great work that libraries are already doing to develop digital skills training and support, whilst also highlighting the aspirations of the Libraries Taskforce to help extend access to higher-end digital facilities like Fablabs and makerspaces through public libraries. The Digital Strategy pledges that government will “develop the role of libraries in improving digital inclusion to make them the ‘go-to’ provider of digital access, training and support for local communities”, alongside national partners like the Good Things Foundation. We will use the Council for Digital Inclusion, set up last autumn, which brings senior leaders from the private and charity sectors together with government, to increase collaboration and deliver initiatives to help more citizens to go online confidently and take advantage of the internet. In the Annex and summary section on Culture, the Strategy includes references to work that’s underway to explore the development of a shared national digital platform for public libraries (often referred to as the Single Library Digital presence) to provide a seamless transition between physical and digital collections, including ebooks and emagazines. It also mentions work that’s going on with libraries, authors, publishers and other interested groups to help the public gain access to more ebooks through libraries, whilst ensuring that authors and other rights holders are appropriately remunerated for the loans of their works. Among the Strategy’s new announcements is the launch of a new Digital Skills Partnership. This will bring together government, industry, charities and other partners who are passionate about closing the digital skills gap to help ensure we support more people across the country access the digital skills training and information they need. The partnership will help coordinate the various programmes, including sharing knowledge and best practice. It will also look at ways to improve the coherence of digital skills provision; for example by setting ambitions for increasing the level of certain types of training on offer and agreeing how it can be targeted where it is needed most. In doing so, it will make it easier for individuals to find the training that’s right for them, and to ensure training opportunities are available across the country. To support the aspirations of the Digital Strategy, over 4 million free training opportunities have been pledged by industry. This is a vital step in creating a legacy to ensure that the UK’s digital economy works for everyone. Libraries could have a role to play here as trusted environments where people can access information about opportunities. We’ll provide more details about the Partnership in due course. Publishing the Digital Strategy marks the start of a new phase of engagement with industry to create a digital economy that works for everyone. We will soon create a forum for government and the tech community to work together, bringing together representatives of some of the leading tech companies, tech industry bodies and innovative SME tech and digital-enabled firms from across the UK. This will focus on supporting both our innovative tech sector and helping everyone across society make the most of new technologies and opportunities. Watch this space!